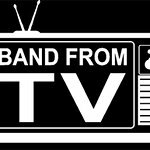 The Band From TV is made up of Greg Grunberg, Bob Guiney, Bonnie Somerville, Hugh Laurie, James Denton, Jesse Spencer and Teri Hatcher. Supporting members include Chris Kelley, Barry Sarna, Jon Sarna, Brad Savage and Christiaan Mostert. Proceeds from the band’s CD/DVD combo Hoggin’ all the Covers support these charities. Google trends for "Band From TV Global Charity Trust"